All companies evolve. It’s just part of remaining relevant as the market changes. And some of these evolutions can be sweeping though, even if painfully slow. As evidence of this idea, one only has to look at where Microsoft Corporation (NASDAQ:MSFT) was twenty years ago when Bill Gates was at the helm, and where it is now. 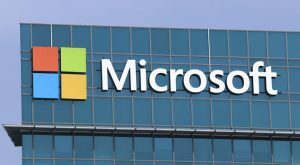 Long-term owners of MSFT have not only seen two CEO changes and eight versions of its Windows operating system, they’ve seen the company undergo a 180-degree turnaround in many of the ways it conducts business. To that end (and just for a little nostalgic fun as we approach the 20th anniversary of the game-changing Windows 98), here’s a run-down of the biggest three paradigm shifts Microsoft has made. It wouldn’t be entirely fair to say the Microsoft of old never sought to build business using partners. It would be fair to say, however, that it as well as its rivals did so as sparingly as possible, fearing they could end up feeding their competition. Now, Microsoft CEO Satya Nadella loves teaming up with other tech players. Case in point: For years Oracle Corporation (NYSE:ORCL) and Microsoft were pitted against one another, competing for lucrative corporate software business. In 2013 though, when it became clear that cloud computing was the future, the duo teamed up. By combining the best of both, each company has remained a relevant, fierce competitor, at least keeping Amazon.com, Inc. (NASDAQ:AMZN) in check. It’s a partnership that would have been unthinkable in the 90’s and early 2000’s. Most technology companies experiment, though Microsoft for the most part — in the past — limited its experiment to something with a specific, product-driven purpose that would drive a clear benefit to the value of MSFT stock. That’s not the case anymore though. Now, Nadella is willing to do things and acquire technologies without even really knowing how they might be spun into a marketable product. The company’s foray into the realm of artificial intelligence is one example. As yours truly noted back in early September, the acquisition of Toronto-based A.I. software firm Maluuba was interesting, but Maluuba’s only claim to fame thus far was an intelligence that plays video games. It’s not exactly clear how the technology could be put to revenue-bearing use. Doesn’t matter. When the time is right and the technology is ready, Nadella will find a way to monetize it. Last but not least, perhaps one of the most exciting changes MSFT stock holders have witnessed over the years is a migration from the hot-and-cold sales cycle of boxed software to a business model that drives steady, recurring revenue. It takes some major memory recall, but older investors will remember the thrill of the revenue rise linked to the release of a new Windows operating system or Office productivity suite, and then the anxiety of not knowing how quickly sales would drop off once the initial wave of buying ran its course. The company always had a new operating system in the works, but they only became available every two or three years. That’s not the case anymore. 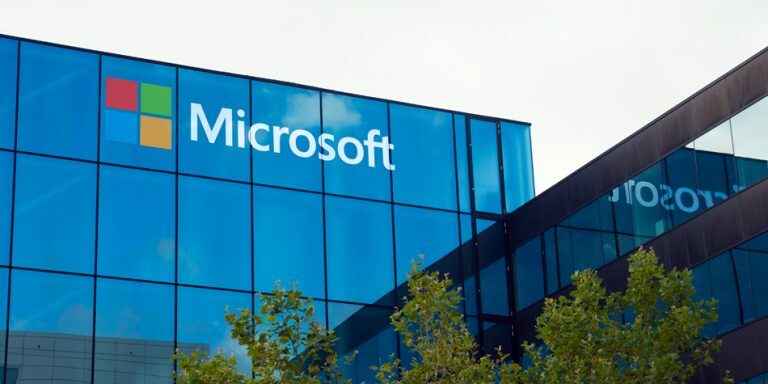 The cloud has set the stage for recurring revenue, with many users effectively renting access to Microsoft Office rather than paying a hefty fee once every few years. Although software-as-a-service is generally lower-margin revenue, it’s still far more predictable. For the old-timers who can remember this far back, yes, Windows 95 (and arguably Windows 3.0) weren’t exactly uncommon back in their day. It wasn’t until the late 90’s, however, that personal computers became cheap enough to make them affordable for the masses. It also wasn’t until the late-90’s and even the early 2000’s that broadband internet made computers practical enough to bother owning one for most people. Ergo, Windows 98 was the system most computer users cut their teeth on after its May-1998 launch. That’s why it’s still one of the most beloved platforms, even if it’s now obsolete. Regardless of which early version of Windows is the one you know and love, it’s shocking to look back and see just how much its maker, Microsoft, has changed in the meantime. This is most definitely not the MSFT stock of yesteryear … not that anyone’s complaining. Indeed, all the changes were necessary for the company’s continued success. Still, what a journey, rife with changes nobody would have foreseen then. Article printed from InvestorPlace Media, https://investorplace.com/2017/12/not-bill-gates-microsoft-corporation-msft-stock/.